Answer Machine Detection is a type of technology that allows diallers to screen out the number of calls made to answer machines. Detection of background noise (rumble and hiss) associated with a tape-based answering machine. Since most telephone answering is now handled in the network this is not as important as it was. 1. Delay while the system tries to connect an agent. This often results in the caller saying “hello, hello” and then hanging up. 2. False positives. This is where the dialler incorrectly guesses a real person as an answering machine and hangs up the call. The effect of this is that the customer will effectively get a silent call. 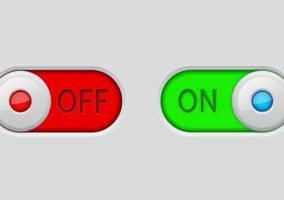 A september 2009 survey by the Professional Planning Forum showed that 50% of people using a hardware dialler and 73% of people using a software dialler had turned off Answer Machine Detection. Answer machine detection (AMD) has proved to be a very hot topic. In 2009 Ofcom issued revised guidelines. So has it been banned or not? Although answer machine detection has not officially been banned, it should NOT be used in a well-run call centre. Because it is inaccurate, it will eat into the 3% abandoned call rate permitted under the regulations. Answer machine detection is likely to annoy your customers. Even debt collection people will find that giving people a pause will tell them that it’s a dialler – which increases the likelihood that they will hang up. It is highly likely that answer machine detection could be harmful to your business. Can answer machine detection still be used? So what’s the big issue with the answer machine detection technology used on most outbound calling platforms and how has it suddenly become the main topic around compliance? At the inaugural UK Outbound Planning Forum 2009 it certainly was a big discussion point of the morning session as Ofcom delivered a presentation to the delegates on current and future compliance. Ofcom’s stance from their Chief Executive Ed Richards is very clear: “Satisfaction levels with the communication market remain high but action against the scourges of silent calls remain priorities for Ofcom over the coming year” – Nov 2008. This is why answer machine detection is a big thing for Ofcom, because false positives – whereby the technology mistakenly believes a person to be an answer machine – is one of the last ways that a true silent call can occur for the public from even the most well-run operation. Therefore, Ofcom tried to close this final loophole with its revised statement in Sept 2008 whereby it stated that a “reasoned estimate” of false positives must be included in the abandoned call percentage reported by companies using outbound technology. So what is a reasoned estimate? One thing that came out of the Ofcom presentation at UK Outbound Planning 2009 and subsequent questions was that just taking the dialler supplier’s standard quoted reliability percentage for answer machine detection would not be acceptable to Ofcom. However, many vendors are working with clients and offering a consultancy service whereby they will come on site and assess the robustness of the technology in the client’s environment and then issue an offset percentage and a certificate of compliance around AMD to help with Ofcom compliance on this subject. So can answer machine detection still be used? The answer is ‘yes’, as the Ofcom statement did not ban this technology. However, can you use answer machine detection and not subject some percentage of consumers to silent calls? The answer will always remain ‘no’. 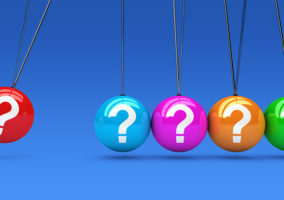 Following the revised guidelines for the use of answer machine detection (AMD) issued by Ofcom on 10 September 2008, it has become increasingly difficult to use predictive dialling solutions. The revised statement, which includes a specific requirement relating to the rate of abandoned calls calculated, is, in Interactive Intelligence’s opinion, highly restrictive and will greatly compromise the ability to keep agents busy in the UK. The crux of the confusion surrounding the revised guidelines arises from the inclusion of AMD in the abandoned call rate. In our opinion, 100% AMD accuracy is only possible by passing all answering machines and live speakers to agents, as even the most accurate methods of AMD can still miss a few live speakers, for example, those that answer the phone with a long initial greeting or where there is loud background noise. There are two options offered by our Interaction Dialer solution that allow users to comply with the new guidelines. Firstly the software offers users the ability to turn off AMD. This will allow contact centres to continue to benefit from other call analysis efficiencies such as no answer, busy, wrong number, etc. without the fear of incurring fines from Ofcom. The settings can also be adjusted to heavily bias call analysis towards live speaker detection. By modifying the Call Analysis Tendency toward live speakers, the number of answering machines referred to agents will increase, decreasing the likelihood of AMD false positives. There seems to be some confusion as to whether outbound dialling using answer machine detection has been banned or not. Getting straight to the point… it hasn’t, so why all the confusion?! The confusion lies within the guidelines surrounding the use of answer machine detection. The DMA state that no more than 3% of calls made within a 24-hour period can be abandoned and calls that are picked up that do not go through to an agent must be left a message within a two-second timeframe. Obviously, it would be beneficial to detect answer phones so the abandoned rate is kept to a minimum. However, answer machine detection cannot usually detect an answer machine immediately, therefore the two-second delay results in an abandoned call, which some contact centres choose to leave as a silent call. The guidelines are trying to prevent these for the protection of the consumer. However, rules are rules and if your answer machine detection and message playback cannot be performed reliably within the two seconds it is best not to use it and look at alternative strategies. I believe that answer machine detection has its benefits but it can be more trouble than it’s worth. Abandoning calls can affect future relationships and customer experience. However, there are other ways to approach outbound dialling that won’t land you in hot water. By using a more systematic and targeted approach, looking at demographics and profiling consumers you can choose more suitable times to call which will increase pick-up rate, reduce the abandoned rate and improve efficiency. Training and a little more consideration can go a long, long way. For example, experiments we have run in the past have increased productivity by 30% whilst still reducing the number of calls. Why should we care about answer machine detection? There has been a lot of talk over recent months about answer machine detection (AMD) and its use within automated outbound dialling. This is a topic that I am extremely passionate about, having been campaigning for ‘responsible’ dialling since 1996 and as such feel I should air my views. Has Ofcom really banned AMD? Whereas Ofcom fell short of an outright ban on the use of AMD, they strongly warned organisations that AMD could significantly increase the number of abandoned or silent calls they make due to the high number of times the technology gets it wrong and falsely identifies a human as an answer machine. In essence, Ofcom is leaving the decision as to whether we use AMD to us. However, they seem to be investigating and fining organisations that breach the 3% guideline with a renewed vigour. So is AMD that bad? To be quite honest, yes it is. No matter what all of the technology vendors state, it still remains very difficult to detect answer machines, especially given that most of us now use digital or network-based answer machine technology. Current AMD technology cannot get close to a 100% success rate and as such, it can quickly eat into the 3% abandoned call limit that we have to abide by. So if your dialler is not operating in real time or your predictive algorithm is not tuned as well as it should be, it does not take many falsely detected answer machines for you to breach Ofcom guidelines. So why is responsible dialling important? It is quite simple, why annoy a prospect or customer before you talk to them? Consumers have had over a decade of irresponsible dialling annoying them with silent calls or, worse still, scaring people by persistently abandoning call attempts. The results have been detrimental to the entire industry, many consumers have registered with the telephone preference agency and effectively opted out of calling lists. The number of consumers we can now reach out to over the telephone has dwindled and as such every number we have, we need to treat as precious. It is time we worked smarter and not harder. We need to focus not solely on the volume of calls we make, but on targeting our calling activity more effectively, using contact history to call people when it is more likely that they will be at home, and profiling our calling lists to ensure we target the right consumer with the right message. Finally, given that we have to face facts that this is no longer a volume game, we have to make sure that when we do get a live consumer on the end of our telephone, our agents are fully trained and equipped to maximise each and every opportunity. We personalise our interactions, we listen to the consumers and we also focus on the quality of service we deliver. Without doubt, the hot topic for outbound dialling is compliance with Ofcom’s regulations on making silent calls. The rules are very clear; you cannot make more than 3% silent calls in any 24-hour period. Ofcom has stated that it will vigorously pursue all offenders and it now has an active compliance team in place to enforce the regulations. Whilst itCampus fully supports this, many contact centres (often encouraged by their technology suppliers) have become fearful of Ofcom and see it as the enemy, when in fact it is a force for good and best practice in our industry. Misdetection of no such numbers, engaged lines, fax machines and in-network answer phones leading to failure to drop the line before the call rings. Then once the call connects, failing to identify if it is a live speaker or not. The confusion comes about because much of the technology currently available struggles to accurately identify answer phones, so to remain compliant with Ofcom, the vendors advise (or in some cases require) that AMD is not used. Rumours are circulating that Ofcom wants to ban AMD, but this not its objective. Its objective is to minimise the stress that silent calls can create for the public. At a time of constant call centre job losses, dialler and call centre managers must maximise productivity whilst retaining compliance. Many call centres think that they are running their dialler environment at 2.5–3% abandonment rate when actually they are running at 1% or less. This is not a problem for compliance but it does cause significant lost productivity. There has been a fundamental misunderstanding by many call centres and some manufacturers concerning the UK abandonment rate compliance calculation. Therefore even if a call centre has a dialler that automatically complies with the 3% rate, if the basis for the calculation used is incorrect, the call centre will run below maximum efficiency. Ofcom then uses this definition within its calculation. This approach makes perfect sense, as Ofcom’s interest is in protecting the public, so it is only interested in ‘live’ abandoned calls. However, dialler systems provide a count of the ‘dialler abandoned calls’ even if the system refers to this as the ‘abandoned call count’. This is because the system cannot count the ‘live abandoned call count’ directly. This results in a disconnect between the ‘dialler abandoned call count’ and the Ofcom term. When AMD is used there is minimal practical difference between the dialler term and the Ofcom definition. However, the disconnect and its impact increases dramatically when AMD is disabled. With the release of the revised Ofcom policy on outbound calling, call centres have been moving away from the use of AMD, which now makes this subject particularly relevant. The scale of the effect is directly related to the agent answerphone vs. contact ratio of each campaign. This will vary from one call centre to another and from one campaign to another within a single call centre. Below are some simple examples for campaigns without AMD where the assumed abandonment rate is 3%. A call centre may choose to run at an abandonment rate lower than the Ofcom 3% maximum, to minimise abandoned calls and the nuisance caused to customers. (This is particularly important to bear in mind as telemarketing has generally moved from cold calling to warm calling.) However, whatever rate a call centre chooses to run at should be based on an accurate measurement of that rate based against the Ofcom benchmark. The use of answer machine detection (AMD) has not been banned. In an attempt to cut down on nuisance calls, Ofcom has ruled that no more than 3% of outbound calls made within a 24-hour timeframe can be abandoned. In its 2008 policy statement “Persistent Misuse of an Electronic Communications Network or Service” Ofcom also states that, in the event of an ‘abandoned call (i.e. one that does not go through to a live agent), a very brief recorded information message must be played ‘no later than two seconds after the telephone has been picked up’. Aspect is working closely with Ofcom to support this silent calls initiative and is working with customers to ensure they are using their technology in a compliant manner. Aspect is also stressing to its customers the importance of campaign management capabilities to improve ‘right party connect’ rates. The Aspect Campaign Management capability learns from calling experiences (for example, “we tried on customer X’s landline on Tuesday, eventually reaching them on their mobile on Thursday”) and uses sophisticated patented algorithms to predict the best number to call and the best hour of day to reach a person at that number in the future without getting through to an answering machine or family member. The data generated by this activity can then be used to create calling strategies (optimised according to campaign objectives and prioritised by user-defined criteria) with optimised account information fed into diallers for execution, dynamically adjusting record levels as agents log in. When integrated with workforce management and contact centre analytics applications, such a capability can be even more powerful – enabling companies to schedule and manage the right advisors, at the right times, with the highest productivity work, to yield the best return on investment in contact centre advisors and technology. Responsible and effective outbound dialling can enhance agent productivity and improve the number of contacts dialled per hour by as much as 2-300%. In a telesales environment, this can lead to improved sales, while in a debt collection environment it can significantly uplift right-party connects and promises to pay. According to Datamonitor’s 2009 report “The Market Share Insight: The Contact Center Universe”, Aspect is the leading vendor in the global outbound contact centre industry with a 29 percent market share. Ofcom cannot use sections 128-131 of Communications Act to impose general regulations. Furthermore, Ofcom is not bound to do anything more than “have regard” to its stated policy, which is certainly not restrictive in its capacity to act against what it deems to be “misuse”. A simple reading of the terms of the Ofcom policy indicates that any case where a call is abandoned without use of an “Informative Message” is an example of “misuse”, it’s “persistent misuse” when performed habitually. Only if one is prepared to transmit an Informative Message on the basis of positive detection of an answering machine, can such calls be included in the 3% allowance for abandoned calls. For those who may place meaningless messages on answering services, every true positive detection case would represent an example of misuse! Ofcom has no general powers, nor any duty to regulate the responsible call centre industry, its powers are to deal with those who misuse the telephone network. Do call centres and their clients need to examine Ofcom’s Statement of Policy on use of its persistent misuse powers, and take expert advice, to decide whether or not to call people and then hang up in silence, as if there was some finely drawn legalistic question to be addressed? Can they not work this out for themselves? Free speech is something we will always fight for but why is this debate still taking place? One well-known regulator at Ofcom had just one word for us recently about the claims of vendors and others who think they can combine effective management of false positives with predictive dialing – preposterous! So let’s hope that when the revised rule comes out shortly Ofcom have the courage of at least some of their convictions and ban AMD, by recognising that ANY false positive is a silent call, and the whole point of their regulations is to eliminate ALL silent calls. Scratching your head wondering why it is that some vendors still insist that they can do AMD and manage false positives? Perhaps the answer lies abroad in countries such as the US, where AMD is not just legal (with no counting of false positives), but is a key differentiator for many vendors. So much so, that one not-insignificant vendor recently proclaimed “100% accurate answer detection, 100% of the time”! Any advance on 100%? OK, OK, let’s not get greedy, but maybe we should get Ofcom to insist that you only do AMD if you license technology from this vendor! Despite our reservations with regards to the new Ofcom policy statement, we feel that as a vendor of dialling equipment Noetica needs to provide some real advice to customers with regard to the use of its products in such a way that will not fall foul of the law. Tip 1: Don’t use AMD at all unless it is clear that it would deliver significant benefits. For instance, there is no need to use AMD for B2B campaigns or campaigns where the percentage of answering machines is low (such as evening B2C campaigns to good quality lists). Please bear in mind that AMD has other drawbacks apart from the generation of false positives. First of all, usage of AMD technology will invariably introduce a delay (of typically at least 1-2 seconds) between the call being answered and it being actually connected to an agent. This is because all calls need to be screened through the AMD algorithm in order to weed out the answering machines with any degree of accuracy. This delaying effect may be rather annoying to most people who may be tempted to hang up after the first couple of hellos, and therefore you may notice an increase in the number of calls abandoned by the very people you are trying to speak to. It is also worth bearing in mind that the use of AMD within the new rules will have a detrimental effect on the performance and efficiency of the predictive dialler itself. As false positives need to be taken into account as abandoned calls (more about this later), the threshold of dialler abandoned calls (dropped calls) will be automatically lowered. This means that you will experience longer wait times between calls and less talk time per hour. 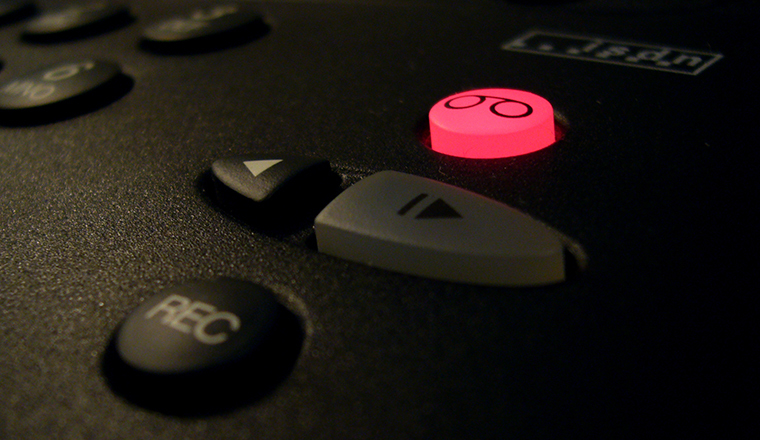 As the main (and probably only) attraction of the use of AMD is to reduce agent non-productive time, there is a balancing point where the use of AMD negates the benefits of predictive dialling altogether, so although you are avoiding some answering machines, you are essentially working in power dialling mode, losing all the benefits that a predictive dialler could bring. It may very well be that the new Ofcom regime, although not explicitly stating this is simply sounding the death knell of AMD altogether. Tip 2: Use a reasonable estimate of False Positives for every AMD enabled campaign. Noetica is in the process of adding a new setting to outbound predictive campaigns, namely the estimated False Positive Rate (FPR) for the campaign. Noetica will also provide customers with a default figure for this parameter which is the result of testing we are currently carrying out in our labs. Tip 3: Measure FPR regularly for each campaign. Noetica Synthesys users will be able to carry out their own testing and then use their own findings to enter an FPR figure in Synthesys™ as part of the campaign setup. Noetica will be also providing tools within the product to facilitate carrying out such tests and here is a description of how this will work. In order to allow our customers to protect themselves against any legal challenge we need to clearly state how FPR is defined and in what way it is used internally to calculate the all important abandoned call rate R.
Since AMD false positives are in essence “live calls” (i.e. calls to live persons), FPR is defined to be the proportion of AMD false positives as a percentage of the total live calls made. As we will see below, the abandoned call rate is extremely sensitive to the value of FPR. In turn, the value of FPR is highly sensitive to the precise classification of calls by agents as live or answering machine. Therefore, when running in FPR mode, you must ensure that all agents are briefed to classify calls with the highest level of care and attention as even a small number of errors can have dramatic effects on the performance of the dialler when moving from FPR detection mode to normal AMD operation. As a general rule, when an agent is in doubt it makes sense to classify the call as an answering machine rather than a live call. Only classify a call as a live call when there is no doubt that a live person is actually present at the other end of the line.